The basis for buying a game should never be “Oh look! It has a ballerina on the icon!” unless of course that’s what you wanted. This game is far from a happy little ballet game; it is a haunted theater game. If you think about that, you may think of ghostly ballerinas, actors, magicians, the works. That is what this game is about. A mysterious note shows up one day from your grandfather. That would be fine, if your grandfather hadn’t disappeared 40 years ago after his beloved Nightingale Theater had a fire started inside of it. No one knows who started the fire, but everyone is pretty sure it was your grandfather. As you pull up to the Nightingale, a ghostly figure dressed as a ballerina appears. She’s playing around with a sign that says “STAY OUT”. When she sees you, she rushes at you, as if to say “get out”. Well, being the persistent person you are, you go right ahead and find a way into the locked up theater. Inside you find a hidden objects challenge. Unlike most challenges, this one has you finding fragments of an object, not just random bananas and yo-yo’s. It feels less random, but a bit more annoying because the fragments are sometimes tiny and a bit hard to spot. Finding fragments is a tad harder than finding random bananas in a hidden objects challenge. After this, you come across a monocle that belonged to your grandfather. A vision of dear old gramps pops out of the monocle and tells you that you have a special power that lets you see a scene from the past. This is a “traditional” random object hidden objects challenge, basically. Best power ever! As the game goes on, you meet a crazed former acrobat, a college newspaper writer, and the mayor of the town the theater is in. How they got in is a mystery you don’t really question. 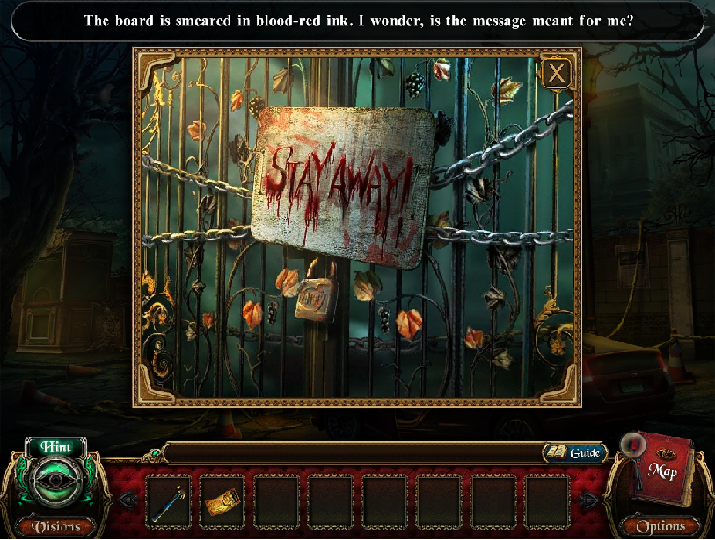 The crazy man locks you in when you try to leave after the hidden objects challenge. Now you must stay and solve hidden objects challenges for the rest of your life! Wait…no… Now you have to go around finding different fragments of objects to help you solve puzzles and get the hell out of this creepy theater. The great thing about this game is the story. A beautiful, kind dancer came to work in the theater, and everyone fell for her charm. She was kind to everyone it seemed. Unfortunately, the other ballerina, who went missing after the fire, became jealous of her and wanted her dead. She poisoned her and blamed it on the proprietor of the theater, the dying ballerina’s beloved… Your grandfather! The fire was started after the acrobat was told that the girl had been poisoned, and went to kill your grandfather. What makes this deceit worse is the evil ballerina was the girl’s best friend, and the acrobat’s girlfriend. She caused so much grief and it more or less caused insanity and death. Good job. Another great thing was the puzzles. In most hidden object games I’ve played, the primary focus of puzzles is “use this here” or “find the random banana that’s lying on that chicken”. In this game it’s “find objects”, “put this here”, “find all of the ballerina statues (or other items)”, and “put this in order of how this happens”. It’s a lot more fun than hidden object after hidden object. The game has a feature that allows you to look around and find 20 items in the game. These 20 items change shape if you look hard enough. If you find all 20…nothing happens. Absolutely nothing. Kind of disappointing. 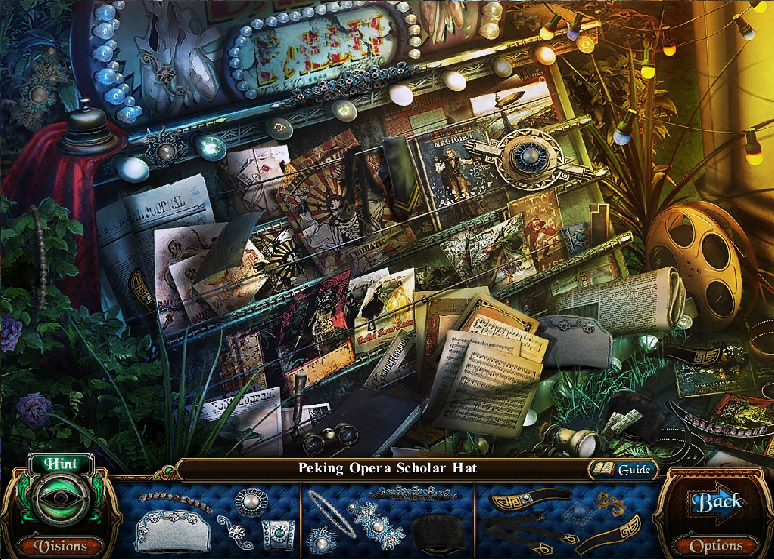 So there you have it: a spooky hidden objects game with a random power that makes you solve more hidden object challenges, a ballerina killing another ballerina and inadvertently starting a fire, and more than two kinds of puzzles! I played the demo of this, I remember. Maybe I’ll go get the full game now. Featuring ALL the best games from The GameCola Era, from 2002 to today.